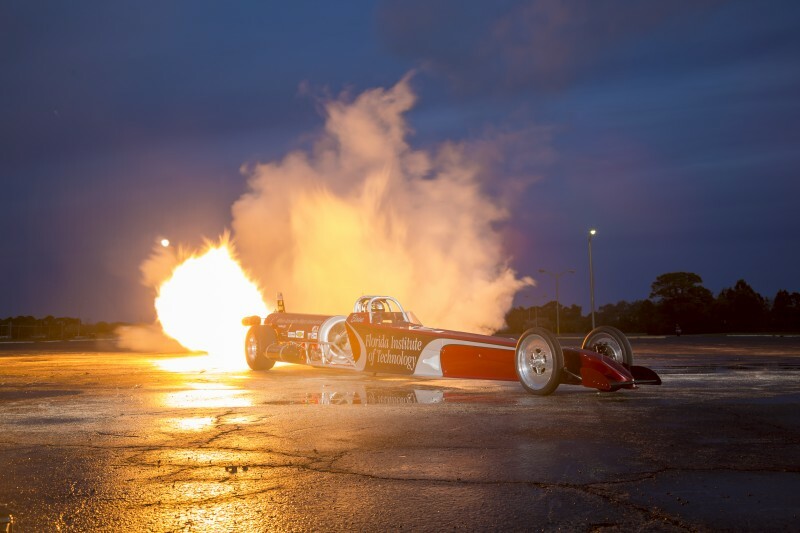 Elaine Larsen, President of Larsen Motorsports and driver of the Florida Tech Jet Dragster, took a big risk in turning her fledgling passion for drag racing into a multimillion-dollar business. How did she do it? By combining her husband’s love of aviation with her enthusiasm for being behind the wheel. Building a jet dragster and becoming a world racing champion, however, was not enough to maintain success. Elaine made Larsen Motorsports a sustainable business by having a vision and keeping her eye on the future. Elaine does this not only by staying on top of industry trends, but also by making it her mission to inspire the next generation. 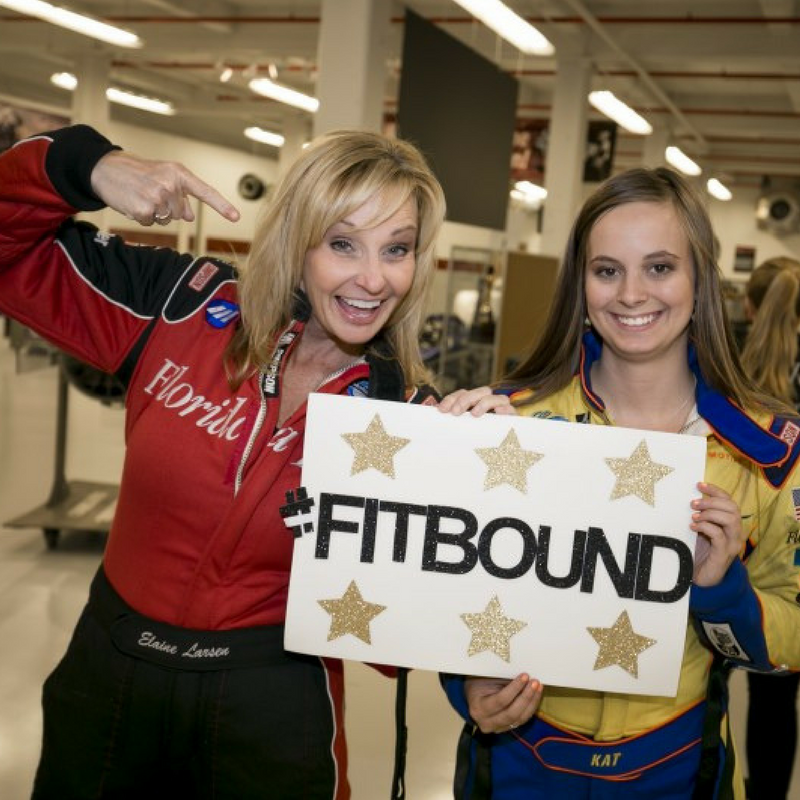 She requires the Florida Tech students working at Larsen Motorsports to experience every “lab” in her organization, from the fabrication bay to the business component. This allows her to guide students as they “figure out what they want to do and what they’re good at,” helping them find their niche just as she found hers. During a Florida Tech-sponsored webinar, Elaine discussed the lessons she has learned about being a leader on and off the race track. Here are seven of her tips for becoming a transformational leader. Simply being a female in a male-dominated industry is not a sustainable advantage. Elaine needed something more, and being a talented driver and performer allowed her to keep attracting sponsors. So, combining their passions for aviation and racing, she and her husband, Chris, decided to build their own jet dragster, which Elaine would continue driving. That’s when they found their true niche. Becoming an expert in your industry is a major component of being a leader. That includes knowing your strengths and understanding your market. For example, motorsports is a diverse field and, even though she’s a world champion in dragster racing, Elaine acknowledges that she wouldn’t know what to do with a Formula One car. “Go out and do your research; go out and find someone who is the expert,” she says. Also, admitting that you can’t do everything may be tough, but it’s necessary. You need to be able to ask for help and learn how to delegate. Elaine emphasizes that the next person you work with may be the secret ingredient to success – someone who can take your project to the next level. Winning the big race isn’t as important as knowing you’ve made yourself better. Learning to be the boss was the most difficult thing for Elaine. Although you shouldn’t lose sight of your core mission, you can learn how to diversify your offerings. Larsen Motorsports aims to inspire the next generation of jet dragster drivers, and one way to do that is by promoting education in the so-called STEM subjects: science, technology, engineering and math. Elaine and one of her employees do speaking tours about STEM and also have an upcoming comic book, Adventures of Blaze, that features lesson plans on STEM subjects.